Have an iPad 2, iPhone, or iPod touch? Take advantage of the dual cameras that come with the device. Some of you might even own the new iPad, which boasts the much improved camera much like that of the iPhone 4S. Simply having a camera on these devices adds so much convenience to your photography tasks. No more need to fiddle with SD or Compact Flash cards, wires, usb connection kits. Have you ever needed take a photo with your digital camera and wanted to share it with your students the same day? This process was slow, tedious, and required quite some time. I had to have everything prepared ahead of time if I wanted to do this. I can even keep the iPad connected to the projector and take photos and videos while everything is shown on the screen. While I know all the above items can be done with any old camera, I will argue that taking such photos on your Apple device will be a much easier and carefree process. Instead of wondering where you kept that old photo you took last year, have them directly in your Camera Roll or in a folder in Dropbox or Evernote. 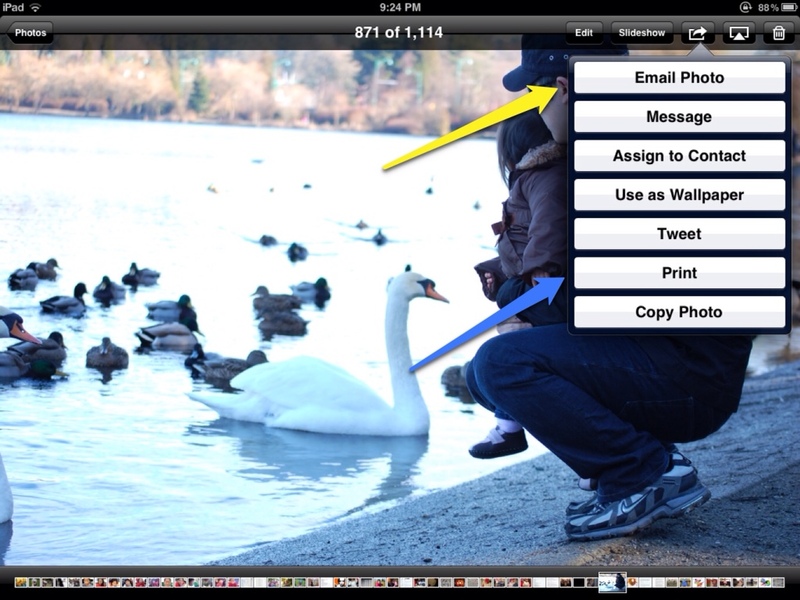 If you or your school have an Airprint or wireless printer, you can even print directly from the iPad. Note: For serious photographers, it should be made clear that Apple devices will not create “stunning” photos. photos are more for teacher reference and not really meant to be developed and framed like you would a more standard SLR camera. However, the lenses on the iPhone 4S and the new iPad will rival most point and shoots. I have definitely put away my small Canon digital camera, and have fully replaced it with my iPhone.